There is a (rather unhealthy, but super yummy) fast food restaurant where I live and they have a sinfully delicious milkshake called a birthday cake milkshake. And oh lordy, it is like heaven in a cup. It breaks my heart though, because for all it’s creamy, cold, deliciousness, it is so far from healthy it ain’t even funny. I’m sure it is chock-full of all manner of artificial flavors, colors, and goodness know what else. 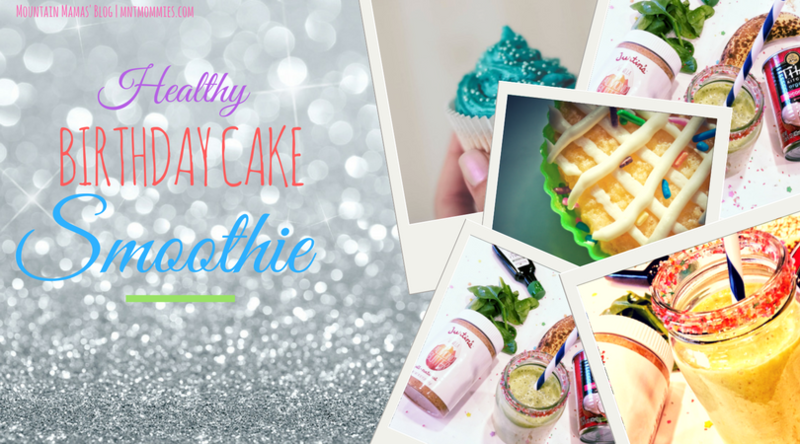 So the other day when I had me a real strong hankerin’ for a birthday cake shake I decided to set about trying to make a healthy birthday cake smoothie version. This stuff tastes soooooo good your eyes are gonna roll right on to the back of your head. My anti-smoothie drinking husband will drink this even though it is green and the twins love it. 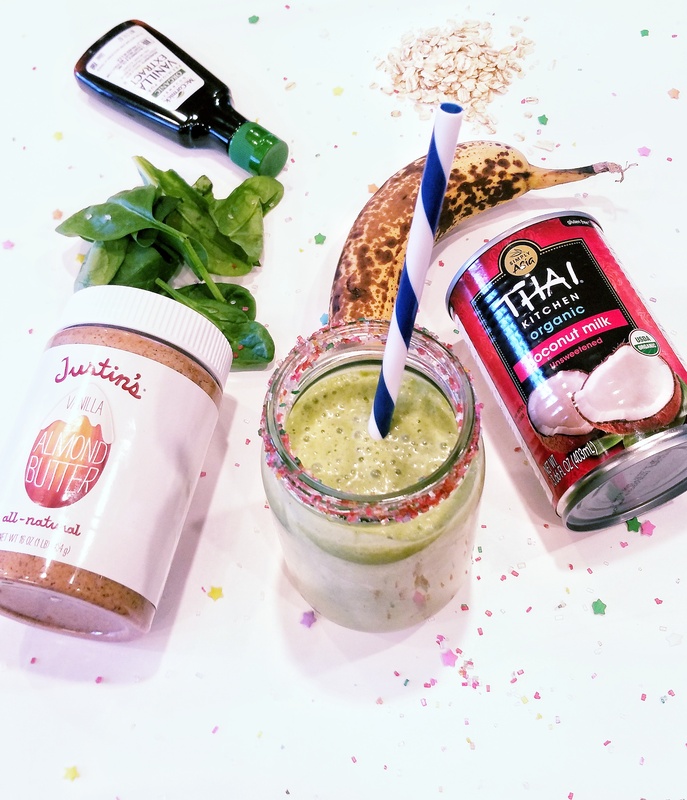 This smoothie not only tastes lusciously delectable, it will also keep you full for hours! I use full fat coconut milk in my smoothie so that it fills me up and gives my body some much needed energy. I can drink this in the morning before a long day at the barn and not need to stop for a mid-morning snack. If you want to cut calories and some of the fat you can use light coconut milk or even almond milk, which you might want to do if you do not have a physically demanding job. Here is the nutritional break down per serving. This entry was posted in Recipes and tagged breakfast, health, healthy, recipe, smoothie.